DETROIT — A German engineering company co-owned by Volkswagen Group pleaded guilty to a felony count of conspiracy in U.S. District Court here for its role in helping VW to develop the defeat device software needed to temporarily alter the performance of its first so-called clean diesel engines. The software developed by IAV, headquartered in Berlin with offices in suburban Detroit, enabled Volkswagen to cheat on emissions testing to win certification for its Gen 1 2.0-liter turbodiesel vehicles, beginning in the 2009 model year. Appearing before U.S. District Judge Sean Cox on Friday, IAV pleaded guilty to one count of conspiracy to defraud the U.S. and the automaker's customers in the U.S. to violate the Clean Air Act. The engineering company had agreed to plead guilty in a plea agreement last month. The company has agreed to pay a $35 million fine, which was set under U.S. sentencing guidelines "according to the company's inability to pay a higher fine amount without jeopardizing its continued viability." It also agreed to operate under the guidelines of a court-appointed monitor for two years. However, IAV's sentencing was held in abeyance while the court conducts a probationary investigation. Sentencing was deferred until May 22. Volkswagen pleaded guilty to three felonies in March 2017 resulting from its diesel-emissions scandal and agreed to pay a criminal fine of $2.8 billion, as well as agreeing to be under an independent corporate compliance monitor for three years. The investigation into Volkswagen's diesel-emissions cheating became public in September 2015, and it is far from over in the U.S. and Germany. Just a day before IAV's sentencing, a federal grand jury in Detroit handed up indictments of four Audi managers who worked in Germany and allegedly helped develop software to cheat on emissions testing for 3.0-liter turbodiesel Audi and Volkswagen vehicles. Like other German nationals indicted in the ongoing diesel-emissions scandal, including former Volkswagen Group CEO Martin Winterkorn, the four are protected from extradition to the United States by the German Constitution. 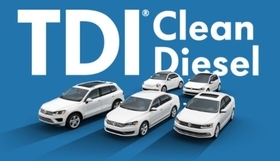 According to plea documents filed with the court in the case against the German engineering company, VW engineers "delegated certain tasks associated with designing its [Gen 1] diesel engine to IAV, including parts of software development, diesel development and exhaust aftertreatment. If the software found the vehicle was not being tested, its emissions control systems were greatly reduced, allowing the vehicle to emit oxides of nitrogen levels up to 35 times higher than allowed under U.S. standards. The Justice Department said that by 2008, "an IAV manager knew the purpose of the defeat device software, instructed IAV employees to continue working on the project and directed IAV employees to route VW's requests regarding the defeat device software through him; the manager was involved in coordinating IAV's continued work on it." In court Friday, the government said IAV's role in the conspiracy was "minor" compared to it's co-conspirator. "IAV's role in this offense is not like the role of VW in this offense," assistant U.S. Attorney John Neal said. 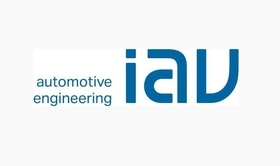 IAV President Kai-Stefan Linnenkohl, 55, spoke on behalf of the company in court and admitted to the company's role in the conspiracy, but did not have further comments beyond laying out the facts of IAV's conduct for the court. “The proposed agreement is an important step forward for IAV," the company said in a prepared statement on Friday. "The misconduct identified does not reflect who we are today as a company, business partner or employer.